Discover how to put the system of Reiki into practical use for healing yourself, and consequently your communities, and the wider world around you. Beginning Reiki, Beginning Healing focuses on filtering the Reiki teachings through the Reiki precepts. 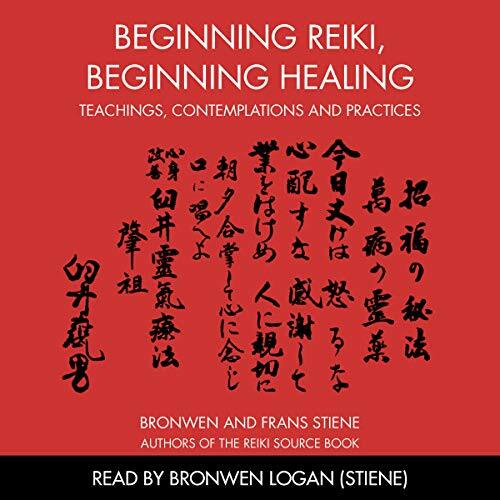 It takes the line "For Today Only" and uses methods of storytelling, teachings, contemplation, and down-to-earth practice to find out why these three words give the system of Reiki such a powerful base to work from. This is an excellent book for beginners through to experienced practitioners. If your interest is in getting back to what was taught in Japan before it hit the West in 1938, eventually becoming associated with the new age movement - then you've come to the right place! We seek to remind you that the system of Reiki is a simple, yet profound, practice steeped in ancient Japanese heritage, developed to lead you, and those whose lives you touch, to spiritual freedom.